Keep in mind this list is meant for my own benefit. I'll add more details if I have time, but, alas, I don't expect I will. I plan to use this on the next episode of the 1 Player Podcast. If you know of any other Essen 2013 games that support solitiare play, please feel free to add to this list and if possible, include the link the list mentioned above. I am probably missing a bunch of games, especially co-ops that don't specifically mention solo play but can easily support it. The German battleship Schleswig-Holstein began the bombardment of the Polish Military Depot on September 1, 1939, at 04:48. This symbolic event marks the beginning of the Second World War. For seven days, the 235 defenders in the Polish forces bravely fought the overwhelming German army. Only a few fighters have made you eat dust. Coincidentally, one of them is standing in front of you right now, ready to fight. Your hands rise into an impenetrable guard. Your time has come to take revenge! In the fighting game 8 Masters' Revenge, you are a martial arts master and you want to beat your opponents, strike after strike. Your only weapons are your two hands, represented by the two cards you have in play. Find the weak point in your opponent's guard to deal damage to him. As soon as his "health" marker reaches the last space of his life track, he is out of the game. The last surviving player wins the fight! The Battle of Red Cliffs is a revamped edition of Tien Zi Que, the Mahjong card game, for 1-9 players. Like Mahjong, each game plays over several rounds as players collect sets of cards. What makes TZQ/BRC unique is that when players collect sets, they save a card from each one to form a Master Set that is used for scoring at the end of the round (when one player has five score cards). Players want to make sure the cards they save will score well because if they don't score enough points to get to the next score level, they will fall back to the previous one. Players can also "Peng" to form a set at the beginning of any player's turn, use Command cards to gain a unique advantage, and play in teams of two or three to add to the fun. Only solitaire in that you are playing both sides. Early in the morning of May 10, 1940, under the Codeword Danzig, Fallschirmjäger from the 7th Flieger Division and 22nd Luftlande executed surprise landings at Den Haag, on the road to Rotterdam and against the Fortress of Eben Emael in order to facilitate German Army Group B's feint advance in Belgium, while the main attack was conducted by stronger Army Group A led by seven panzer divisions from the Ardennes, through a terrain believed uncrossable to armor units. France and the UK reacted immediately, activating the Dyle-Breda Plan, and thus committing their best forces directly into the trap. Then in June the evacuation of Dunkirk was a partial success, but the battle for France was over with an astonishing German victory. Four years elapsed before the Western Allies would come back to the continent and thus finally defeat Germany. 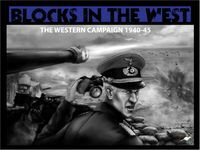 Blocks in the West (BITW) recalls, in game form, the most decisive battles fought in the European Theater Front from the invasion of France until the collapse of the Nazi regimen in May 1945. BITW is a game of World War II conflict simulation at the operational level. Although based on historical events and battles, the players in command of the two factions can modify the evolution of World War II on the Western Front. The game is recommended for two, three or four players: one/two control the Western Allies and the other one/two control Germany and Italy. The game is imminently suitable for solitary play: the single player just controls both sides. In this case, playing with Fog of War is mandatory. The rules are divided into three major sections which can be learned one at a time. 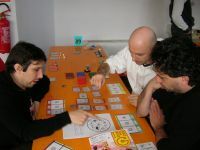 The basic game rules introduce the basic concepts and enables players to start playing the game without too many rules to remember. Then the advanced game rules provide more specific and detailed rules for an enhanced realism, such as the use of fuel and the advanced production system. 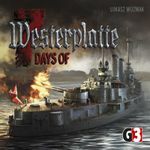 Finally, for those players who want to get the best out of the game, optional rules can be added as desired; these include Technology Research, Strategic warfare over German factories and U-Boot Campaign in the Atlantic Ocean, Amphibious Invasions, and Parachute Assaults. 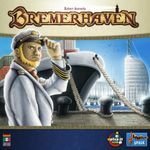 Bremerhaven is a clearly structured but complex economic game about the famous harbor town in the north of Germany. Each player builds his own unique harbor and tries to reach the highest combination of money and prestige by the end of the game. Each round, players are trying to get the most influence on the action fields they want to use. Since you place your influence cards face down, you have to watch closely what the other players might want to do. (You can even place more than one card on one spot.) The options are varied: Get a new ship with new goods into your harbor, close a new contract, change the values of the four different goods, improve your influence card-hand, expand your harbor, buy a new building, or simply rise in the nautical ranks to get more money. But you have to be careful: Every ship and every contract will stay in your harbor only for a short while. (The transporters and trains are waiting!) If you fail to coordinate the incoming and outgoing goods, you might have to pay penalty for not fulfilling a contract! Bremerhaven ends after a defined number of rounds, and the rules include both a short version and solo rules. Visually the game will be in the vein of Le Havre. When on islands 1 or 6, he rolls one extra die; on islands 1 and 6, he rolls two extra dice. When on islands 2 or 5, he can add or subtract one from a rolled die; on islands 2 and 5, he can do this twice. When on islands 3 or 4, he can reroll any number of dice one extra time; on islands 3 and 4, he can reroll two extra times. If a player can't advance a ship, he can place his first mate (1) as a scout on an island to grant himself that power on his next turn, (2) as a thief on a treasure owned by a player with more treasure than him, giving him a chance to steal it next turn if he rolls any three-of-a-kind, or (3) as a defender to remove a thief on one of his treasures. The game ends the round that a player collects his third treasure. If he's the only one with three treasures, he wins; if multiple players have three, then the tied player who has more ships farther from his ports wins. The ancient manuscripts talk about a Leviathan, a huge creature lying on the silt bed of the lagoon on whose back the city has its foundations. All manuscripts agree on its eternal sleep and they all tell that the beast will wake up one day, shaking the city from its muddy roots, smashing the vitrified stilts on which the city stands, and crashing it into the seething sea where the monster will rise. The ancients say, however, that there will be signs; it is written that the Venetians will feel the tremors, that they would therefore save themselves from the monster, who will recover his freedom by plunging into the waves a deserted city. Each game is divided into several nights and days. During the nights, players hide in trenches behind the barricades to resist the attacks of the Infected. During the day, players move through the city, which is shaken by tremors. The Infected are drawn by the groans of the Leviathan in the abyss to help their master free itself from the rotting stilts that nail it to the silt bed. Players have several ways to get out of town, but little time to do it – and their path is hindered by the bosses, the most implacable servants of the Leviathan. If the players do make it out, they can assess their skills – and set a goal for next time – by counting the points scored during the game. Náufragos (a.k.a. Castaways) is a semi-cooperative game about four castaways who are stranded on a small island. They must cooperate to improve their shelter, gather food to eat and wood to keep the campfire burning, and figure out how to advance to the interior of the island, as only from the vantage point of the highest spot on the island will they have a view of the vast ocean – and even more importantly, a view of the ship on the horizon that promises rescue! The players must manage their time in order to deliver a signal to this passing vessel – but even if they're all rescued, in the end only one player will win, that being the one who writes the best story at the end of the game, the one who lives and retells the greatest adventure from all the survivors, the one who has collected the most story points. This looks neat. It sounds like it has a campaing mode where you can level characters. The game play sounds interesting. In this 100% modular game you and your team mates are in charge of a special ops team with a special mission! Find hidden bombs and dismantle them, help hostages into safety or take out terrorist leaders. To start your first mission is easy: randomly take a mission card on the first level (level green). A single mission takes only 30 minutes of play + 5 minutes to prepare if you play it realtime. If you have enjoyed your first "training on the job" - hopefully with not too many casualties - many, many other game modes are available for you to try out. So why wait and start up your first mission with COUNTDOWN. - TRAITOR MODE: yes, we have created a competitive game mode in this COOP game, which increases the tension significantly; now some of the players have different goals and as a result mission is going to be real tough; for the patriots the task is to find the traitor fast. Develop your primary skill, but don't neglect your attack power, defense power and other skills if you want to stay alive in this thrilling new game. 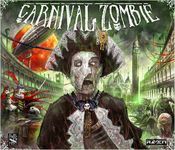 Available in October, introduction at SPIEL'13 in Essen (Germany). Only available at The Game Master in Hall 3, E-100. Real time video demo available throughout the fair for 1000 players. This house of ours – we don't understand the laws of motion of the giants, or remember when we came to the floor, or know when the light will be shed from the ceiling, but this is our house. Here we tame wild monsters, create streams of sparks, storm the heights under the ceiling, and set off into the unknown of the outside. Here we are at war with each other, upholding the principles of the Great Orders, and each table of this house is a place for our battles. We, the people Nastola! 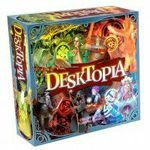 Desktopia (or Настолье, meaning "the country on the table") is a disc-flicking game for 1-4 players that can be played on any flat surface. Each player controls one of four Orders of Nastola: unpredictable Fire, indomitableGrass, resourceful Metal and sinister Dust. Each order has unique powers, and the discs can eliminate or paralyze opponents, capture artifacts or strengthen one of your own units. Components on the table can be incorporated into the game as obstacles or goals. DubbelYatzy is based on the Swedish version of the classic dice game Yahtzee (Yatzy in Swedish), but whereas Yatzy uses normal six-sided dice – with players rolling to achieve combinations like a full house, a straight and "lots of 6s" – DubbelYatzy includes special double dice, with a smaller die inside each larger transparent die. You still want to achieve combinations with your die rolls, but now you score a combination each with the inner dice and the outer ones. Thankfully, you have some wiggle room when shooting for combination targets as you roll six double dice, but use only five outer and five inner dice when scoring combinations, with you choosing each five as you wish. DubbelYatzy uses standard Swedish Yatzy scoring rules, which are somewhat different from Yahtzee rules, but can also be played with international or German Yahtzee scoring. The playing time is 15 minutes per player. Item for Geeklist "Spiel 2013 Preview"
In DuCo, players score points by playing cards so that colored icons lie next to one another. If you match color or shape, you score; match both, and you score more; match special symbols, and the bonus points will roll in. Some icons will match any color or shape, giving you more opportunities to score. The options for where to play grow each turn, and the first player to reach 50 points wins! 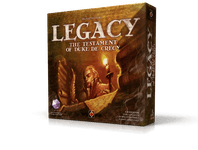 Too simple for a veteran BGG user? Don't count on it until you've tried the alternative game modes that adds new different strategic elements to the color-matching madness! Factory Fever plays in the warehouse of the Factory Fun factory. Instead of building the machines in your factory, now you must store the products in the warehouse, which is a very different task. What's more, you must store products of the same type in a group or have them connected by conveyors. These products are both dangerous and extremely heavy, so for safety reasons you must not drag them more than once, and all products of one type must be together. Building conveyors helps to connect similar products. You know which products will need to be stored, but you don't know when and in which combinations, so you must anticipate the future by holding different good options for stocking the goods. The pillar in the middle of your warehouse is as annoying as it was in the factory (Fun) halls. When your warehouse is finally filled, the game is complete. If each of the six different goods is stored in a single group, you are doing well. For one product that task is easy because you have to store that type of product only once (i.e., 1 tile). The very dangerous product you should place at the wall, and for the mixed product you decide at the end which product type it is. The conveyors should not have dead ends (to the walls or pillar). Each error results in 1 error point, so try to have the fewest errors. For a new challenge, the B-sides of the boards get used. The player with the best score on the A-sides gets the hardest difficulty level B-side warehouse, and so on. Special Edition release of a game that came out last year. Gladiatori is a card-driven game in which each player assumes the role of a gladiator in the Ancient Roman Empire. Action selection drives figure movement on the board. Combat cards give energy to the character actions and are used as hit points. Characters are customizable, and each player has to choose his deck composition, character skills, and participate in the auctions for Arena items. At the end, the winner will be determined by victory points – or simply by being the only one left alive! This is not the usual fast, face-to-face combat game in which you attack opponents with a roll of dice. It contains many strategic and tactical aspects, and no luck factors (other than in the solo game). Customization of characters makes the combat always different: Your gladiator may be strong against some opponents and weak against others. Let's start finding your way to win! Gladiatori Deluxe is a limited edition version of the game that includes eight metal miniatures — four gladiators and four animals (dog, wolf, bear, lion) — and a revised 2.0 English-language rulebook with the other languages being available online. Have you ever tried to manage a community of gnomes? This is quite a difficult task as they are hard to control and they usually do whatever they want. Gnominia puts the players in charge of managing a village inhabited by gnomes and have them competing with other villages. The first player who manages to gain 20 trophies is declared winner. The Guilds played a major role in the lives of London’s citizens, controlling the way in which trade, manufacturing and business was conducted in the city. The members of the guilds were rich men, who were appointed to the most influential positions in the community and wielded immense civic power. The chief representative of the Guilds became the Lord Mayor of London, and the leading delegates of the Guilds became his Aldermen. Other members of the Guilds were the burghers of London. The Guilds ran the city and controlled its commerce; each had its own Hall and its own Coat of Arms. Representatives of the Guilds met at the Guildhall to discuss the great issues of the day. In Guilds of London you will place your liverymen in strategic Guilds, building your power base, so that you can achieve the status of Master in many of them. You will also have the opportunity to spread your power into the commercially valuable Ulster or Virginia plantations. Control of each Guild will provide victory points and additional actions that you can exploit, so that you can control the future development of the city. - Guilds of London cards, which players use to take actions. The game is played over a varying number of rounds, dependent on the number of players. In a typical turn, a player will use cards to hire liverymen, to move liverymen to/from Guild cards, and to emigrate liverymen to the plantations. At the end of a turn the player will draw a number of cards, which can be boosted by actions during the turn. The Guilds of London card deck is made up of 21 cards in each of five suits. While every card can be used to hire or move a liveryman, each has special ability available at a cost. Most card abilities are themed to the specific suits: scythes (common guilds) are for hiring, crosses (church guilds) are for card-drawing, compasses (artisan guilds) are for moving, anchors (maritime guilds) are for the plantation and crowns (noble guilds) are special effects. The guilds, themselves, are represented by colourful square cards that are set out, adjacent to each other, to form the playing board; in the 1-2 player game, all of the Guilds used (24) are set out from the start; in the 3-4 player game, a starting set are placed and more come into play as the game progresses. Control of a guild is determined at the end of each phase (3 rounds, for 1-2 players) and each round (3-4 players), if a Guild contains a number of pieces equal to or greater than the number shown on the card. This number is between 2 and 7 dependent on the power of the Guild. Winning control of guilds gives players bonus actions, as well as awarding victory points. The Beadle (a neutral piece) can also be found amongst the Guilds and his presence may help players to win control of the Guild he is visiting. Players can also earn coin cards that give bonuses at the end of the game. Players can take as many actions as they like in one turn, as long as they have the cards and resources! The order in which players take their turns is important, because control of Guilds is worked out at the end of a round (3-4)/phase (1-2) when all players have had a 1/3 turn(s). The player with the most victory points at the start of the turn is the starting player for that round, and the other players take turns in descending order of victory points. At the end of every three rounds (called a ‘phase’) players also count up their liverymen in the plantations; the first and second placed players receive a bonus. In the 3-4 player version, further Guild cards are placed so that the board grows during the game. At the end of the game, players receive bonus points for their coin cards to add to the victory points gained during play. The player with the most victory points is the winner. 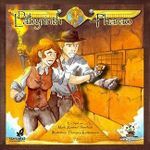 In Das Labyrinth des Pharao, players are graverobbers who want to go as deep inside a pyramid as they can, preferably discovering chambers that contain treasures along the way. Each player starts the game with 28 identical tiles and a 5x5 grid representing a pyramid. Players each add the same tile to the grid each turn, slowly creating (if all goes well) a winding labyrinth inside the pyramid. When a player places a tile that shows one or more scarabs on it, he can choose to place a treasure marker on one or more scarabs. By the time that the third tile is placed, each player must decide which entrance to the pyramid his figure will take. The game ends once the 5x5 grid is filled. Each player counts the length of the corridor that extends from his starting point, scoring one point for each space in this path. In addition, the player scores two points for each treasure that's surrounded by four walls as long as at least one of those walls abuts the corridor walked by the graverobber. Whoever has the highest score wins! Das Labyrinth des Pharao includes rules for solo play as well as an advanced variant in which treasures are worth 1-3 points depending on their color, with this point value then multiplied by 1-4 depending on where its shared wall meets the corridor. The deeper the treasure along the path, the more points it's worth. 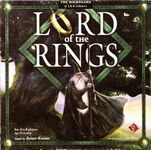 his game should not be confused with Reiner Knizia's children's game (Lord of the Rings) with the same title, or with his very different two-player Lord of the Rings: The Confrontation.